The Poly-Clear 24 oz. Fitness Bottle is an attractive container to hold liquids. The Poly-Clear 24 oz. Fitness Bottle is an attractive container to hold liquids. 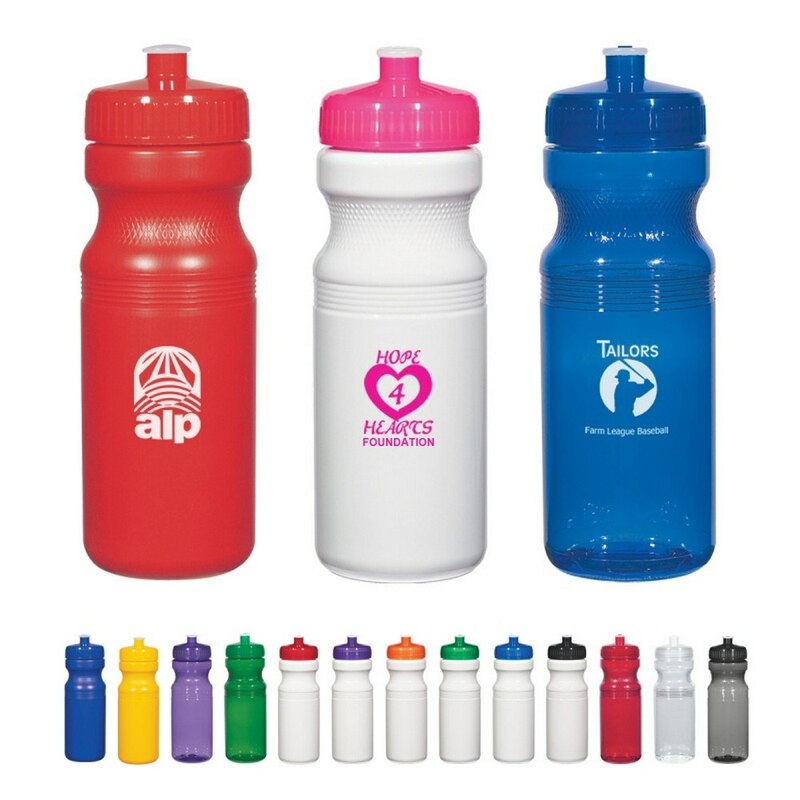 Add your company’s logo on the bottle for cost effective brand promotion. The white and translucent bottles are made with PET material; the solid colored bottles are made with up to 25% post-industrial recycled HDPE material. It has a leak-resistant push/pull lid. It does not retain odor or taste and is not recommended for hot liquid use. The bottle is available in white, translucent, clear, and solid forms. Giveaway the water bottle at gyms, marathons, and other sporting events to enrich your brand’s image and value.